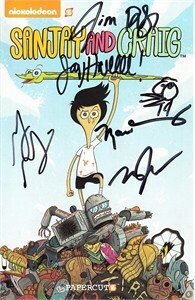 Sanjay and Craig 2015 Comic-Con mini 5 1/2 by 8 1/2 inch comic book autographed on the cover in black marker by co-creators Jay Howell and Jim Dirschberger (both added doodles to their signatures), plus voice stars Maulik Pancholy, Matt Jones and Grey DeLisle Griffin. 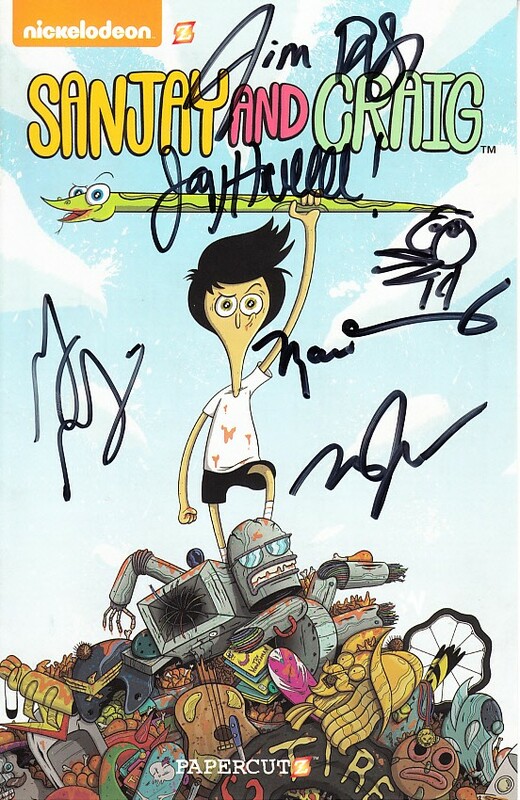 Obtained in person at very limited 2015 San Diego Comic-Con signing. With certificate of authenticity from AutographsForSale.com. ONLY 2 LEFT.